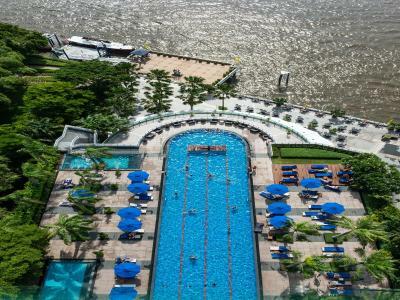 Lock in a great price for Chatrium Hotel Riverside Bangkok – rated 9 by recent guests! The pool was amazing! Breathtaking views of both city and river. Loved the restaurant off the main entrance. Staff was very friendly. Liked the river taxi provided by hotel. The breakfast was delicious. We loved the pool area and the property on the water. The landscaping was lovely. We enjoyed the ferry use as well. The service was excellent. What a fabulous property. The room and hotel was beautiful. Bed and bedding very clean, firm but comfortable. Breakfast buffet was delicious with many, many choices. Loved the free hotel ferry. We have stayed at the Chatrium many times over the last 7 years. we usually book a suite with terrace and river view. It still maintains its high standards. We enjoy returning to it. Over the years it has become more popular and inevitably prices have risen. Its still good value for what you get. Location was great--- they offer a water taxi that runs every 15 minutes that takes you to the main pier for other modes of transport. Breakfast buffet was amazing, the restaurant was beautiful and comfortable. 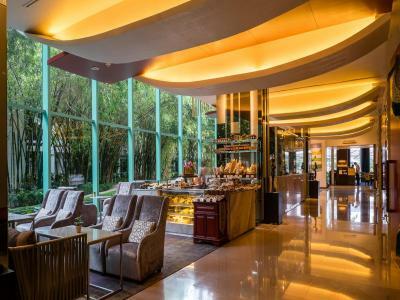 They also have a café in the lobby area with comfortable seating that offers snacks, drinks and coffee. Our room was amazing -- a 2 bedroom, 2 bath with a full kitchen and living area! Super spacious rooms. I would stay there again in a flash. Free shuttle boat to main pier. Excellent view from balcony. The helpful and friendly staffs, low dense hotel, one floor only have few units, sparking clean room, comfortable bed and free shuttle boat. 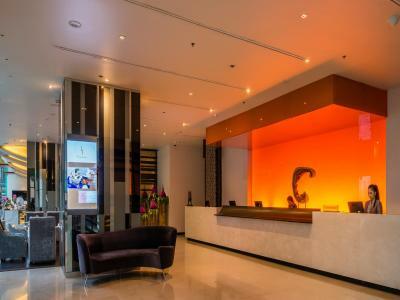 Chatrium Hotel Riverside Bangkok This rating is a reflection of how the property compares to the industry standard when it comes to price, facilities and services available. It's based on a self-evaluation by the property. Use this rating to help choose your stay! 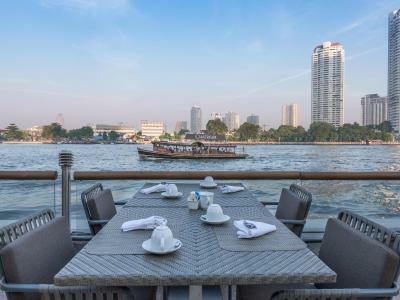 One of our top picks in Bangkok.Standing on the banks of the Chao Phraya River, Chatrium Hotel Riverside Bangkok features first-rate amenities including an outdoor pool, spa and fitness center. Enjoy elegant suites with city views, free parking and 6 dining options. Free WiFi is available in all areas. Featuring floor-to-ceiling windows and private balconies, spacious suites are fitted modern dark wood furnishings and flat-screen TVs. Meals can be prepared with well-equipped kitchenettes and dining areas. The private bathrooms include shower facilities, free toiletries, slippers and comfortable bathrobes. 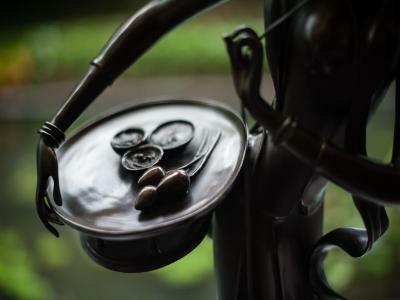 Soothing beauty treatments await at the spa and beauty salon. Guests have the choice of relaxing at the sauna or spa pool. Attentive staff can assist with travel and business needs. Guests can enjoy alfresco dining at Pier 28 while international buffet is offered at River Barge. 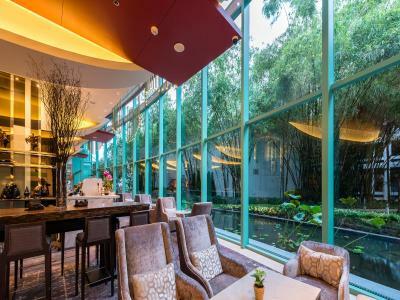 Classic and modern Cantonese dishes are served at Silver Waves. 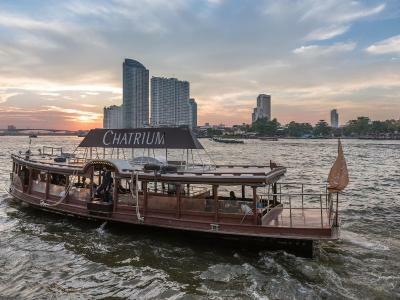 Chatrium Hotel Riverside Bangkok offers a free, every-15-minute shuttle boat service to/from its private pier located next to Saphan Taksin BTS Skytrain Station. 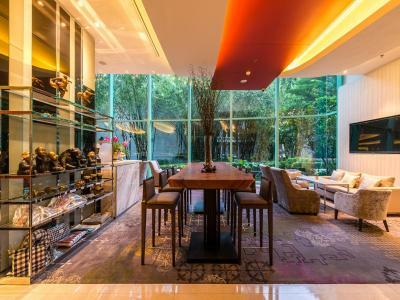 It is a 35-minute drive from Suvarnabhumi International Airport. 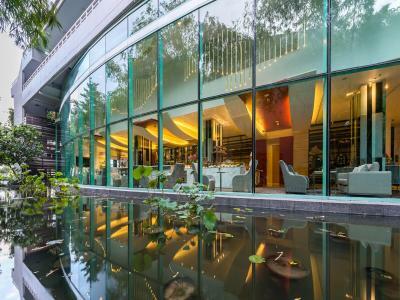 When would you like to stay at Chatrium Hotel Riverside Bangkok? Large suite features a separate living area. Spacious suite features a separate living area and 2 bedrooms. 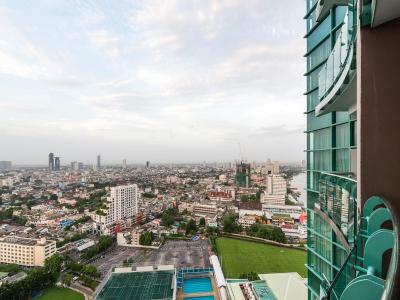 Room offers views of the Chao Phraya River. This suite features a balcony with a river view. It includes a kitchenette and living room. It also has a flat-screen cable/satellite TV and DVD player. A bathtub is included in the private bathroom. This triple room has a balcony, air conditioning and a minibar. Please note that "single bed" refers to a rollaway bed. This twin/double room has a balcony, mini-bar and flat-screen TV. This family room features a balcony, CD player and bathrobe. - Complimentary one-way airport transfer for guests staying a minimum of 2 nights, upon arrival or departure. Guests are kindly requested to inform the property in advance with flight details if they wish to make use of this service. Contact details can be found on the booking confirmation. Please be informed that the single bed comes in the form of a rollaway bed. This 2-bedroom suite features a balcony, microwave and a CD player. Please be informed that one of the single beds comes in the form of a rollaway bed. This suite features a balcony, satellite TV and mini-bar. This twin/double room features a balcony, DVD player and seating area. This twin/double room has a balcony, satellite TV and DVD player. Guests enjoy a confirmed late check-out until 18:00 hrs. (local Thailand time). This twin/double room has a balcony, bathrobe and flat-screen TV. This twin/double room features a balcony, bathrobe and microwave. This triple room has a balcony, microwave and mini-bar. This twin/double room features a balcony, soundproofing and private entrance. This twin/double room has a balcony, oven and soundproofing. This suite features a balcony, private entrance and toaster. 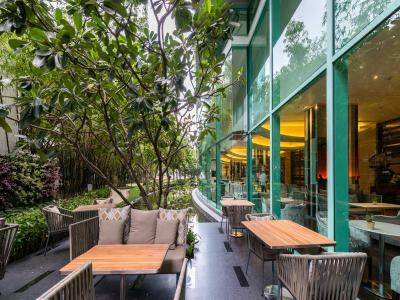 “Great choice for relaxation but easy access to the city.” The hotel is located along Chao Praya River where still can access to city by hotel's shuttle boat to sky-train. Spacious room is good choice for group of friends and family. 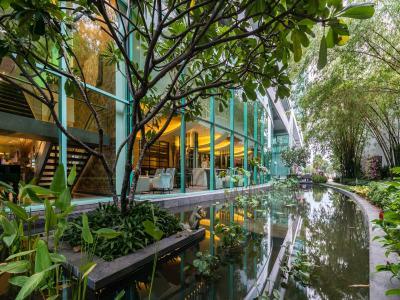 House Rules Chatrium Hotel Riverside Bangkok takes special requests – add in the next step! Chatrium Hotel Riverside Bangkok accepts these cards and reserves the right to temporarily hold an amount prior to arrival. Please present the same credit card used to guarantee your booking when checking-in. It is required for all the customers to present the valid credit card that is used to guarantee the booking upon check in so as to verify the cardholder’s name whether it is the same as stated on the credit card itself. The name on the credit card will also be checked against with the name on the given valid passport.